Earlier this year, David Ortiz made news outside of ESPN. In his native Dominican Republic, Ortiz opened a club named the Forty Forty. Jay-Z runs a string of nightclubs named the 40/40. 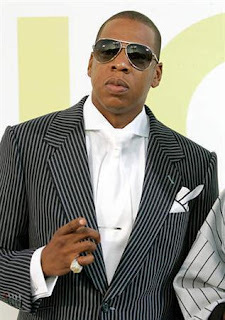 Because of the name infringement, Jay-Z filed a suit against the baseball star. Despite being a frequent visitor of the 40/40, Ortiz claimed to not know he had taken the name. Regardless of what he knew, Jay-Z knew the 40/40 named belonged to him and it did not matter how it was spelled. Their issue has been in the news for some time. But, the issue did not make headlines until earlier this year. David Ortiz was willing to go to court with Jay-Z, until he realized he was going to lose the case. A settlement was soon reached outside of court. Jay-Z was awarded $5 million in the suit and Ortiz has agreed to change the name and cease operations. Additionally, he also decided to pull the website for his club from the internet. Jay-Z named the club after a record set by the New York Yankees. Ortiz is the star for their primary rival, Boston Red Sox.